This picturesque tower house stands in 20 acres of woodland and garden by the banks of the Ae Water. It is Grade A listed, dates from the 15th century and is steeped in history. 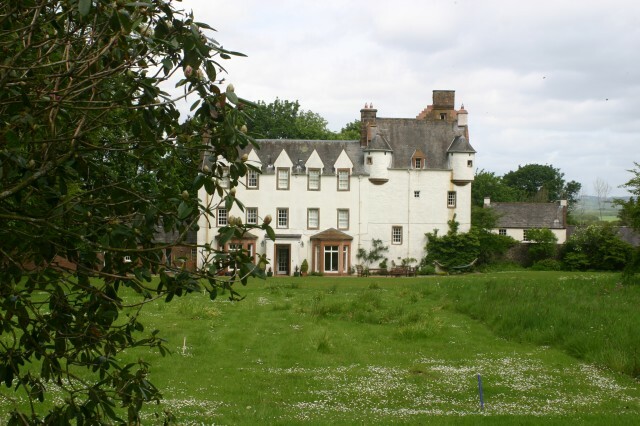 For nearly 500 years it was the home of the Johnstone family and their descendants. In the 18th century they added the main house to the original tower and made further additions in the 19th century. Latterly, it was the home of the historian, Sir Steven Runciman who used the tower rooms as his library. The house is now lived in by his niece Dr. Shukman, and contains Edward Lear paintings and her collection of Russian icons, French furniture and artefacts. Dr. Shukman will give a short talk about her uncle and the history of the house and its collections. This will be followed by a slide show of the Edward Lear pictures from the Runciman collection that are now in the National Gallery in Edinburgh. One of their curators will talk about the paintings. A soup and sandwich lunch will be served with a complimentary glass of wine, followed by coffee and brownies.